and do all versions of android support all apps or each version has its own apps..i mean do cupcake apps run with eclair and vice versa?? thnk u..
@ Teja - those phone don't even stand a chance with android ! apps do have backward compatibility but that really depends on the application. Trust me it is not an issue. If you want a good phone right now .. especially at this price.. this is the phone to buy. 2.with out powering it of ? after flashing phone, the IMEI now is:0000000000000000..
@Sameer .... I would suggest you guys to change the "home assistant" the default is "pantheon"(drains lot of memory and battery) -- replace it with pandaHome/openHome/aHome all the remaining apps will start working smoothly once you get rid of "pantheon"
after flashing phone, the IMEI now is:0000000000000000.
please, I need ur help if possible. do java apps and games run on android?? Hi sameer, though I was a bit apprehensive. I did try it today. And was successful but by not using the csc file. Flashed in 1 mind 20 seconds showing a status bar on the phone about the progress. Thanks a lot. hi , can i know I570EXXJC5 firmware can install on asia samsung spica i brought it in singapore ? is there a way ? sorry guys .. was under the weather here for a while..
@ Mohammed - you should try reflashing again. @ Teja - the Android 'Market' has more than 20,000 applications, I am sure you can find anything and everything you want there. @ Himanshu - odin might be corrupted, try downloading again. @ ganesh - I am from pune. @ Martin - not sure what you are trying to say. @ Teja - 65 K i would think..
can the video recording in the galaxy(within its limitations) be improved like in the moto droid?? 2. Also, how do we unroot the phone to enable my phone to connect to an ad-hoc wifi network. It works wonderfully thanks to you! Hi Sameer.. I am a proud owner of i5700.. What makes it more special is that i got it as a gift..
One thing that i have noticed about the phone is its battery back-up which is feel is very less. 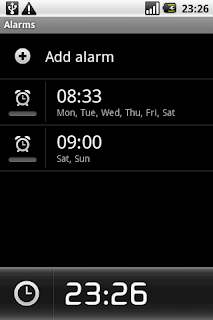 It just manages to cover the day for me. Though most of the time through out the day i dont have any applications running on my phone. What i would like to know is whether this issue is faced by others too though the official website boasts of a very excellent battery back-up. @ Mira - you should try to reflash, although its not clear what your error is. @ Teja - I am not sure about that. @ Justifyall - you should cross the check the APN settings with ur service provider, this ROM does have issues with GPRS at times. @ xbert - this firmware is only for the Samsung Galaxy SPICA I5700! DO NOT TRY TO FLASH any other phone with this. Hi I am from Bangalore, India. and I have flashed i5700XXJC5 FW from samdroid forum. 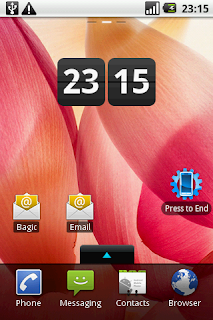 Its a Mod with Live wall paper picker and a LK launcher with some goodies (APKs). It works fine on my phone. A note of caution to those who are not aware. Please read all the instructions before flashing as you may not brick your phone but may lose ur IMEI which is as good as bricking the phone. Please try to follow exact instructions never select all the options as and how you want. Many people have lost their IMEI. Its not possible to restore easily even by Samsung care centre as the device is new. @ Chromsru - I am not able to install any apps as of now.. once I resolve this I will install Peak Memory Usage and let you know the RAM usage. It does not feel more than 128 MB though lol. @ Shaji - I have posted the news earlier from engadget. @ Sipart - Thanks for the headsup.. I was actually reading that news at the same time time lol. Have you figured out how to install official release ? @ V.B. It is not yet released in India. Actually the frmware not been officially released in germany also....only the experimental firmware (i570EXXJCB) IS out...which btw is german by default...you can grab it off samandroid ..... in order to root it you will have to grab a seperate PDA file off leshak's forum....then upload it using odin after you have successfully flashed your phone with i570EXXJCB ... the firmware is the most stable one so far...but as usual itll be better if you not use pantheon and install the updated N1 launcher2.... no live wallpapers by default...the phone much zippier than before with more free RAM ....home screen transitions are super smooth....one important thing....THE DEFAULT LANGUAGE IS GERMAN ...SO DONT INSTALL UNLESS YOU KNOW WHERE THE LANGUAGE SETTINGS ARE!!! @ Sonu - unfortunately the I7500 doesn't seem to be getting a 2.1 update. @Teja: You may try this if you wish. http://forum.samdroid.net/threads/293-Mod-UsefulMod-v2. 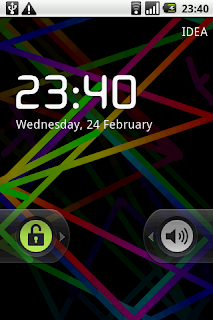 It is customized light-wait mod with Live Wallpaper. Of course, as mentioned earlier do it at your own risk. Any idea how to flash the newest JCB firmware? its single filed. i tried using it as pda, and single file integrate. no luck. any ideas? do we have to flash to another version before using this? @ Vikid - do you have the link to the PDA file you are talking about ? Looks like I need to try this new i570EXXJCB firmware.. I am getting a download unsuccessful error..
Also i removed Pantheon , launcher2 (nexus One) and some more stupid apps ... instead i bought aHome and installed it.... there is no noticeable Lag now...its amazingly smoooth! The file - I570XXJC3_with_Root_PDA.7z (rapidshare | yandex) looks like the new firmware with the rooted kernel. Do you think I should be using the files from this or should I just flash the firmware by selecting "One Package"
@ Nicholas - I am gonna try the new firmware as you can see.. will post the results once I do it. Root_LkUpdate_v3_PDA > extract > Root_LkUpdate_v3_PDA ( No- Extension , So add .tar or .rar) > again extract > Now use the final file Root_LkUpdate_v3_PDA.tar .. Thanks every one. Oh, and one more thing, can i flash xeil5 and use the csc from jb3? thats my area. can i do this for other firmwares too? including jcb? @ Vikid - Thanks for the head up .. gonna try this when I get home tonight.. fingers crossed. What firmware did you use before this update? I did everything right but I get stuck at <1> Setup Connection in the ODIN Window.. I uninstalled all the Softwares including NPS and used drivers as Sameer said..but I still cant get it done! Step 4: Install drivers using the drv5700 files- A lot of guys are going wrong here..
Not sure you answered this already.. can you elaborate this step a little further? In download mode the drivers that are getting installed for me doesnt have "Android" in the name and hence Odin is not able to connect to my phone while flashing :( Any suggestions? Odin shows com port mapping as (COM 9) and I see the message - "<1> --- cannot open the usb serial port. code:5"
@ Blogdog - hope you managed to save your phone.. whenever this happens you should removed the battery and then disconnect the phone.. Most guys have reported that this saves your phone from bricking. Although I cannot be sure about it. @ Jus_another - I suggest you wait for the official version, which is already released and your country should get it soon. @ Jianqin - not sure what you mean here. @ Vikid - I have decided to wait till Sunday before I reflash the phone.. Don't want to make haste here. I will do it on Sunday and report what happens. After that enable debugging mode on your phone ... and connect it..
Also if you want aHome let me know..
Hello, I read somewhere, if i have I5700XXIK2 firmware I cant strait go to JC5 is that true? 2) How to make a copy of my firmware? K. Thanks ViKiD. And to everyone with setup connections problem, first, with your phone connected and in download mode, if you dont see the port number and having it highlighted in yellow, unplug, and plug again. wait for 5 seconds. if still no luck, take out the battery and retry. 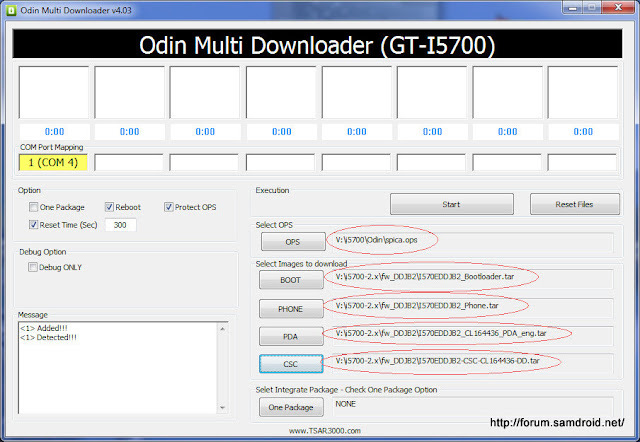 note: this is meant to be done with a fresh opening of odin, and the download mode, not when you are half way done. I tried, all i get is a triangle with an exclamation mark infront of it. that is when i boot the phone. @Nicholas are you using the correct ops file?? how can i install de spica drivers? where do i have to put the files? just install it from the cd you got with your phone. drivers are in it. thats the easiest way. just make sure pc studio is not running when you flash for safety reasons. PS: Do not interrupt if odin continues to flash after FORMATTING. Disconnect only if you get stuck at the Setup connection.... message. I will try that, but, is there a way i can install it without the csc files? (cache) like deleting it with 7zip? so i can retain my language and apn? Oh, and vikid, can you give me your msn? makes it easier to communicate. You can send through email if you dont want anyone to see it? do alert me tho, so i can check for you email? But how can i get your email address? Is it a single package or different files? 3) For JB3, 4 files. JCB, 1. 4) When i flash JB3, i used the original ops file. When i flashed JCB, i used the ops file for the jc3. Hey sameer... please help me out... I was able to successfully do the following..
After that, when i try to restart, it just hangs up at the samsung boot screen. please help me sameer.. I tried doing that atleast 5 times till now.. its alwys the same.. I tried it with debug option checked as well.. and then I unchecked the csc and tried again... BTW.. it was the I5700DXJB3 I am trying to install.. I am able to put the phone in download mode.. so will I be able to atleast load the original version now?? Please help me.. Any suggestion is most welcome.. please..
which file is work for my phone? when i choose update device it's said "The devise is not supported, the device you have chose does not support software upgrade"
I have tried reflashing atleast 5 times till now.. I tried it first by checking the debug option, then by unchecking the CSC.. it is still the same... and the firmware I am trying is I5700DXJB3... is it got to do with the firmware which I downloaded.. I am able to get into downloading mode though.. please help me... any suggestion is most welcome..
@ Chandu - why don't you try the I570EXXJCB firmware. can we do that sameer.. I checked in the samsung-firmware.webs.com.... I thought only two versions were available for asia.. can i try installing other than those two.. i mean.. will it cause any problems?? @ chandu - you use any firmware.. this one is a german one .. so u just have to change the language ..
hmm.. i am downloadin the firmware from http://rs615.rapidshare.com/files/364503956/I570EXXJCB.zip .. I will keep you updated once i am done with the flashing.. thanks for the quick assistance sameer.. Thanks a lot sameer.. I finally managed to install the german version of android 2.1.. the look and feel are pretty good.. but one more request.. please let me know how to change the language to english.. and thanks a ton for ur help..
Been there, done that. it seems i have a prob with the single filed firmwares. for the others, i flash it well. PS, this is my other account. I posted as nicholas. 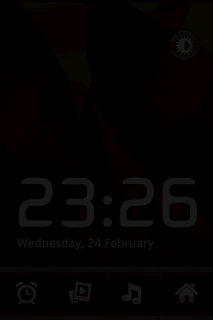 Flashed JCB 2.1. and then with LkMod_2.4.1 by Leshak to get roots and live wall papers. BSNL 3G works fine, but have to set APN manually. Anyone needs any help regarding the FW can ask. @ Nicholas you sure you are checking the One Package Option? Also which version of Odin? Yes. My version is the latest. 4.03 i believe. also have you disabled the Sim Lock? @ Sucessfully reflashed the I570EXXJCB with the Root_LkUpdate_v3_PDA .. just this minute .. everything looks ok..
@ VIKID - where did u get aHome from ? @ VIKID - did you offer me a copy of that in ur comments earlier ? lol ..
another question - what are you using for live wallpapers ? @ LiveWallpaperPicker is crashing on me .. lets see .. I don't want to go back to the 2.4.1 mod though .. the size difference is too much.. I also updated to the German version.. no more sluggishness anymore. Like you the live wallpaper seems to be force closing. If you manage to fix it do post it. Its all that i should. its detected, single packaged checked, file put in the Integrate package option. debug only not checked, everything normal. The rest of the options i left it default, spica jc3 file too. Sameer, what firmware were you using before this? @ Nicholas - I was using I570EDDJB2 before this. To fix the download error, you have to add APN manually. As for me, i cant even flash this. Ill be reverting to dxjb3, and waiting for the update. thanks to all for the effort. 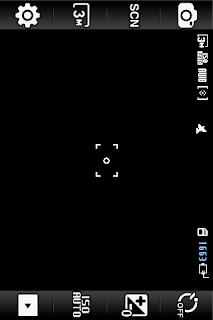 I updated the PDA files with Root_LkUpdate_v3_PDA and the live wall papers seems to be working great without issues. PL TELL ME CAN I UPDATE TO "I570EXXJCB" ? You mean your not able to download apps from the market? and now the phone won't boot ! .. stuck at the samsung LOGO.. guess I will have to try flashing the csc file when I get home... not a good feeling not having a working phone lol ..
@ VIKID - another question here .. I tried flashing only the CSC file and ODIN says .. check the image files ! whats going wrong ? Also which .ops file did you use ? do we have to select DEBUT ONLY option ? I am new to whole game!!! will you explain in detail about how to install the given usb driver. I will wait for your answer. CSC files need to be flashed with the original firmware file. It doesn't work if a One Package firmware has been used. I also tried it with the JC3 firmware. @ VIKID - hmm .. then what you are saying is to go back to i570EDDJB2 firmware ? 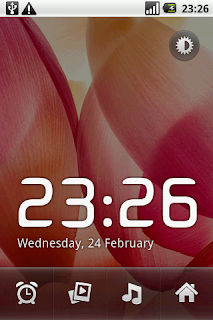 Well I reflahed XXJCB and haven't rooted it yet.. I am suspecting rooting is the cause of this error. Hi Please somebody help, i do not know what i did wrong everything went successfully and odin also passed but reboot is not happening.its stuck in the screen with strange sign. i manually rebooted still no good. Deba - Please try reflashing, and if setup gets stuck your best bet is to remove the battery and hopefully your phone won't brick. Good Luck. That looks right to me .. just reflash and you should be fine. USB can perform faster can be safely ignored but the exclamation mark with a triangle is serious.. your only option is a reflash. If everything else fails you can try that.. can you tell me what options have you selected in ODIN ? Deba - your .ops file is wrong.. use the new file. BTW I will be posting my list of must have apps soon ..
First up I must put my hands together for putting up such a lovely flashing guide and being so patient and helpful to all the folks here :). 1. Can this firmware be applied to Samsung i7500? 4. What according to you is the stablest firmware on the Galaxy Spica ? Also, waiting for your inputs on ur favorite apps. @ sgx100 - Thanks for the kind words :-). 2. No. if something goes wrong there are plenty of 1.5 firmwares which can be used to reflash. can i upgrade or stay on "DDJB2"
@ VISHAL - XXJCB is the most stable I have used.. definitely recommend moving from DDJB2 which was quite buggy on my device. 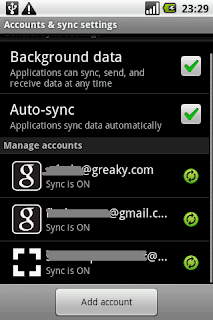 I tried syncing my contacts from Nokia N 72 to i5700 but without much success. Even tried importing a csv file exported from Nokia PC Suite...but for some reason the contact numbers were not showing up as contact numbers...just as vanilla notes. Any help Buddy...I am myselves trying to dig deep into google..but without much help. can anyone help me with aHome. how to install it & how do i get rid of Pantheon. @ SGX - use the CSV to import the contacts in your GMAIL account and then sync. Remember to export the GMAIL contacts to file first though. After you have imported the contacts, run the FIND DUPLICATES and merge contacts to clean up your address book. @ Mayuresh- aHome is paid app and won't show up in the market since you are in India (presuming you are in India).. I suggest you try out Helix Launcher which I find is better than aHome and completely free. Thanks a lot Sameer for this info. i saw in one of the website, the home screens movng like a cube, which is that animation, is that helixlauncher with what live wallpaper? I set up helix but do not how to get that wallpaper ? @ Deba - It is not a live wallpaper. Many launchers offer that cube functionality, aHome has it as an experimental feature (its no good though. You might want to check out sweeterhome. @ HALO which live wall paper picker did you use ? 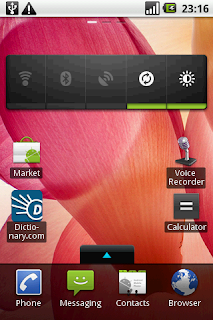 and which live wallpaper is on the screenshot ? That's strange, but my imei is also 00000000? I'm still 1.5? @ Mira - 0000000 IMEI is not good, you should take it back to service. Did you try to flash after you got it back from the service ? @Sameer -- there are no live wallpapers in the screen shots.. I have trouble ... rooting it ... I use Ubuntu 9.10 and the phone is not listed in the adb devices list ..
USB debbugging enabled ..adb updated tried from all available USB ports .. tried from root .. but all in vain .. any other ways to root that you can suggest using ubuntu 9.10 ... I don't want to install windows..
sameer i was thinking of upgrading to eclair..which version is the most stable one? ?and are all the instructions same as in this guide?? @ Teja - XXJCB is the most stable right now. And yes the instructions remain the same expect that you have to use the new spica.ops file. I have put in a link to the file in the guide. and any way to backup my present firmware..i ve rooted my phone with leshaks kernel..so any anything i need to do before flashing?? or can i flash the firmware directly?..thanks.. @ No. Just flash away. XXJCB single tar present ,i should use one package option and also the new spica ops jc3?? @ Teja - Yes... all the best. 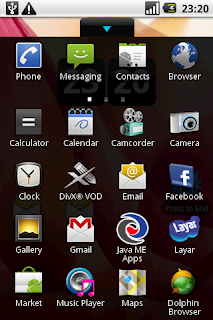 ok i got it done:)..but i m stuck with samdroid bootscreen..any way to change tht to default? @ Teja - they are the people helped us get the firmware .. why get rid of them ? if i made it can i read arabic words ? @ abdul - not sure about it .. a guy called Ahmed has been trying to do that.. you can contact him @ ahmed.shubbar@gmail.com. Teja,if you ask me,its not 2.1s fault. Its the hardware on this phone, very low on RAM/ROM ,its even lower(half technically) than tattoo.Tatto with 3.2 screen would have been rocking. With same memory i7500 does not even support 2.1 and all 2.1 phone have double configuration in terms of memory(you can check it on gsmarena). So my guess it will be slower inevitably , unless samsung custmizes/tweaks it just right for the i5700 performance. I managed to install this but i cant seem to get live wallpapers, any suggestions? Should i do a factory reset, to try to get live wallpapers ?? @ elliot .. NO !! 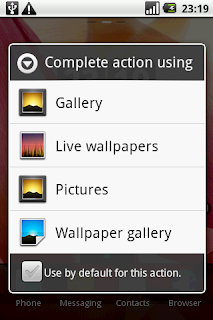 you need to install Livewallpaperpicker.apk and then just download live wallpapers off the market. there is a post @ samdroid.net. It says that the file is no longer available? I have the file, i followed your guide on how to root the phone but i cant seem to root my phone, is there any other simpler way of getting live wallpapers or rooting my phone? sameer can u please point me to 1.5 cupcake firmware..there are many firmwares on samsung-firmwares but i dont know which one is cuocake..
I570EXEJC1- guys is this a newest firmware ? ?is it good?? After upgrading to the latest firmware of 2.1 was your phone getting detected by the Samsung PC Studio 7.x which will be used to upgrade officially later on? My phone does not get detected though I'm on XXJCB and also rooted it. Try turning on the Debug mode. you can follow the post to root your phone. although if you want to root your phone only for live wallpapers it is not required. Unfortunately livewallpapers are not working on my phone too .. otherwise I could have given you the livewallpaperpicker.apk file. @ Teja - Anything prior to I570EDDJB2 is cupcake (1.5), I have read that the I5700XEIL5 is the best one though. Why do you want to go back to 1.5 though ! @ shaji - I have not bothered with the NPS/KIES, why do you need it anyways ? @ Teja - I have recently flashed to XXJCB, haven't tried out the new one though. and by the way does this Root_LkUpdate_v3_PDA.7z from the link u provided give any performance boost or is it just the root?? You need to push the file into the /system/app folder. No i did't try to flash again...i wonder when i can update with official version? Will it be safer?